High school has never been tougher, but neither have the amazing teenagers who survive those wonderful, awful, great, terrible, fulfilling, and frustrating years. Thousands have gone before you, and you will make it, too. A Crash Course in Teenage Survival will give you answers to your questions about seeking popularity, developing spiritually and socially, learning to repent, and discovering your divine worth. A Crash Course in Teenage Survival brings What I Wish I'd Known in High School, volumes 1 and 2 together under one cover. Join John Bytheway for the first and second semesters of a course unlike any other you've ever taken. Stick around for a bonus "summer school" section of entirely new chapters. 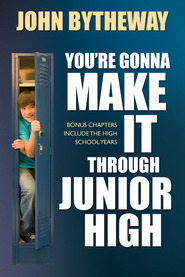 It's a must-have for teenagers and the parents an leaders who love them — the complete John Bytheway survival guide to high school. This book was purchased for my by my mother at some point in my life that I can't remember. 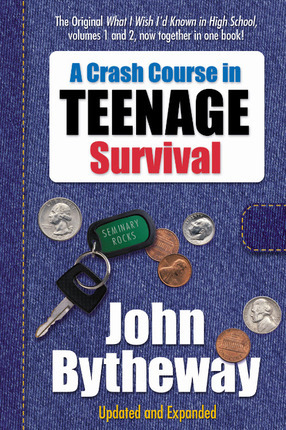 I was slightly deterred from liking it because of the title, quite honestly, because I've read crash courses in teenage/high school survival and they weren't particularly helpfully unless your life is a cliche. One of the things I like about this book was that it was more relevant than I thought it would be. I appreciated the humor, even though that's completely not the point of reading books of this particular kind (it's the concept/doctrine of the book. The fact that everyone is always like, "John Bytheway? He's funny." really bugs me because, I don't believe that's the point), but I identified more with the serious tone of the book. I found a lot of the things written in it meaningful and I learned some things that I had never thought about before. To say it was a "good book" is completely irrelevant. Any book could or could not be a "good book", but it's what you gain from it that matters. I just got this book and am almost done with it, its a really good book for teens who want to know more about the gospel, how to live it, and how to get through high school. Some chapters are funny and some are more serious but all of them are amazing. The bottom line? 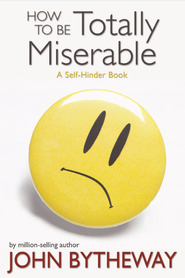 I would recommend this book for anyone!